Anyone with a Plex Pass subscription can now get at their media libraries from Dropbox, Google Drive, or OneDrive (personal) with Plex Cloud. Plex just announced that Plex Cloud is now available to all of its paid subscribers. The new service allows users to store their entertainment content in a cloud-storage service including Dropbox, Google Drive, and OneDrive (personal). They then link that cloud-storage account to their Plex account, and Plex automatically spins up a dedicated virtual server loaded with the company’s media management software. After that, just like with Plex at home, users select their media folders for the server, and stream content to their HDTVs, PCs, tablets, and smartphones. When Plex first started testing Cloud in September during an invite-only beta period, the service only worked with Amazon Drive. Amazon has since been dumped due to technical difficulties during the beta phase. That’s too bad for Amazon Drive users, but supporting the three major cloud providers opens up Plex Cloud to a much wider range of users. 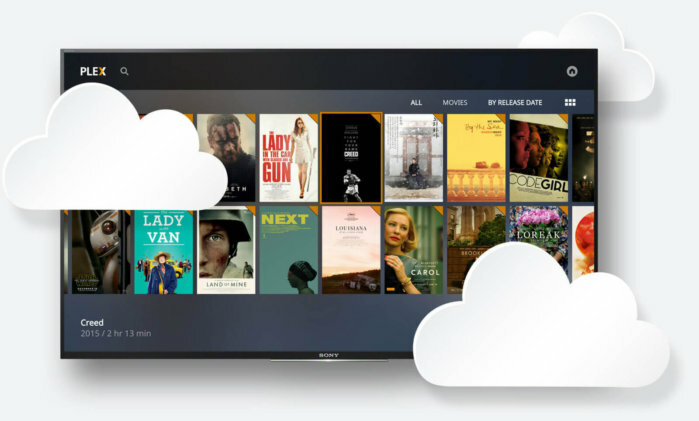 The appeal of Plex Cloud is that you can take advantage of always-on availability of your personal media library without managing any hardware. Previously, Plex required you to have either a NAS or a PC running the Plex software to make your content available. Cloud also makes it easier to access your content outside of the home. A local Plex server can do this, but it’s a pain to set up for regular users who don’t want to fiddle with both Plex Media Server and their home router’s settings. Why this matters: Over the last few years, it’s become cheaper to stash a sizable media library in the cloud. All three cloud providers sell 1TB of cloud storage for about $100 per year. Add to that Plex Pass’ annual charge of $40 and you can get access to your own media library everywhere for a little bit more than the current annual cost of Netflix. Whether that’s a good deal depends on how often you watch content from your personal library.